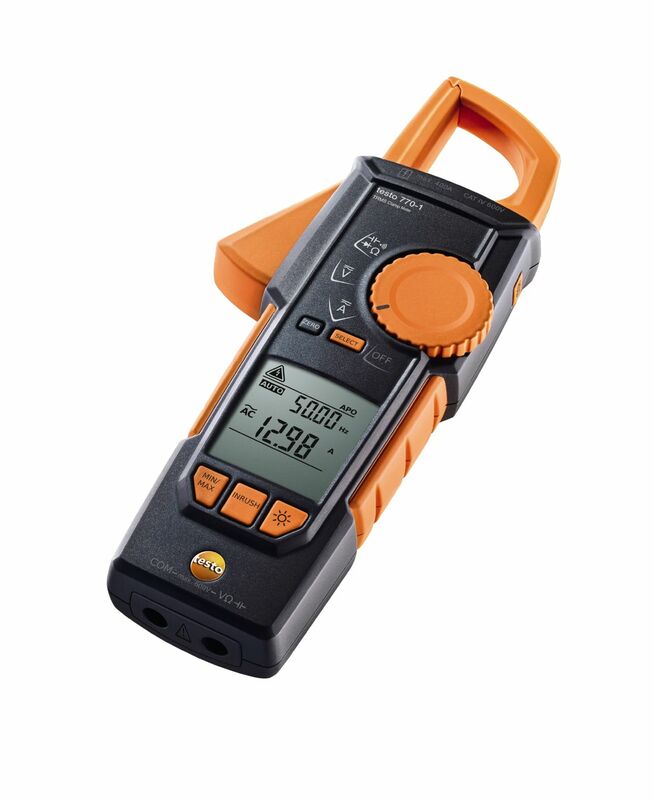 This clamp meter means you can cope in any application environment, no matter how tight. 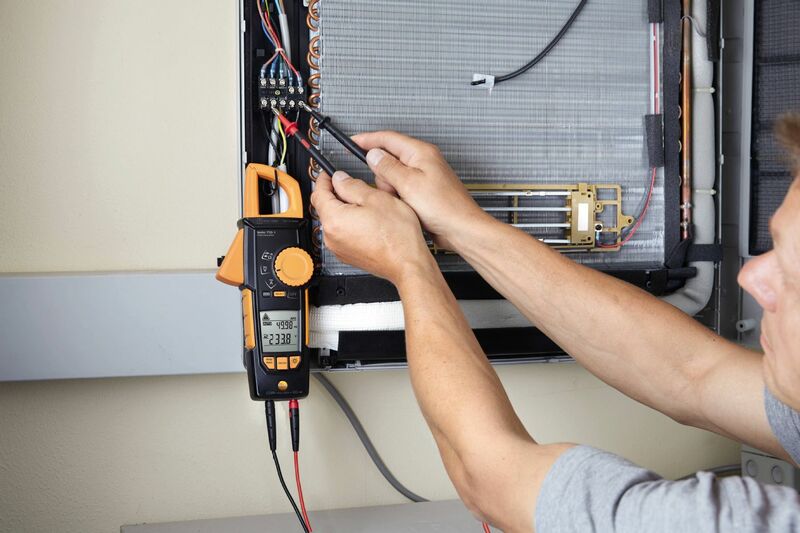 The movable pincer arm can be fully retracted into the instrument, so that you can for instance grab tightly packed cables in switching cabinets as if you were using a hook. 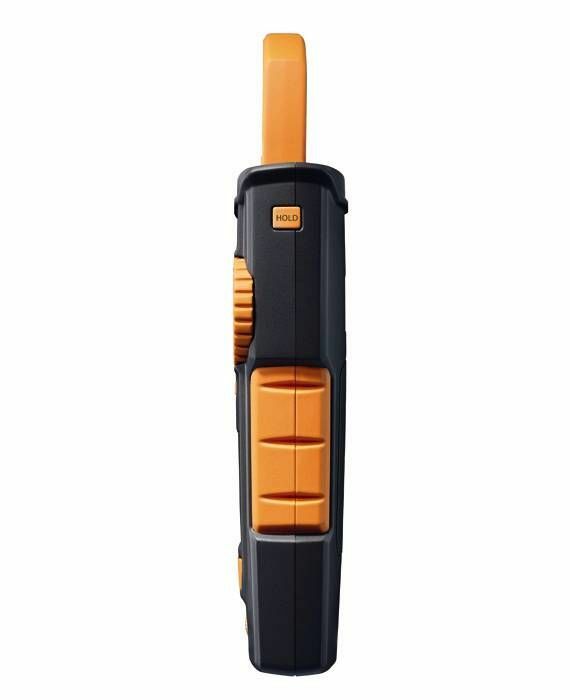 You have never been able to measure as conveniently as this in tight spots. 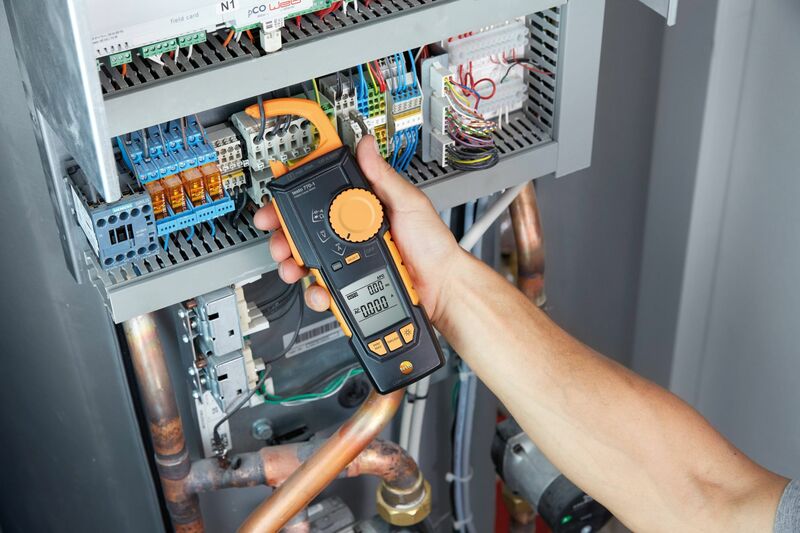 The operation of the testo 770-1 clamp meter is also easier and more reliable than ever before. 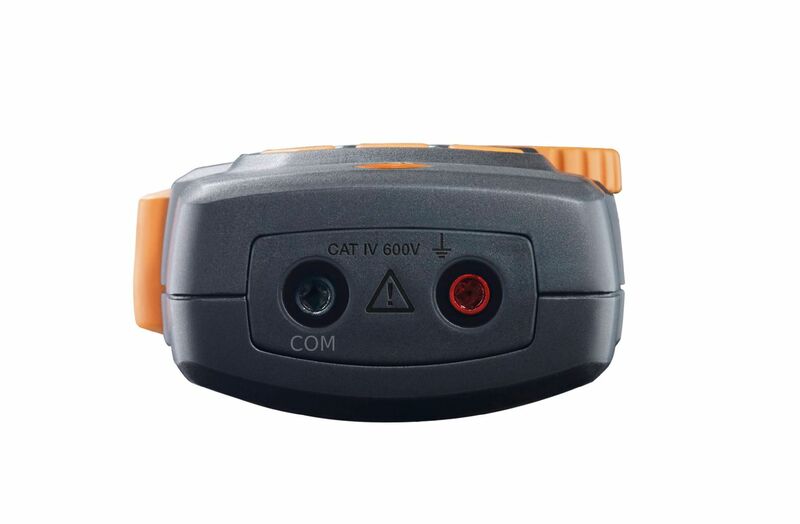 It automatically detects and selects AC/DC and other electrical parameters, such as resistance, continuity, diode and capacitance. 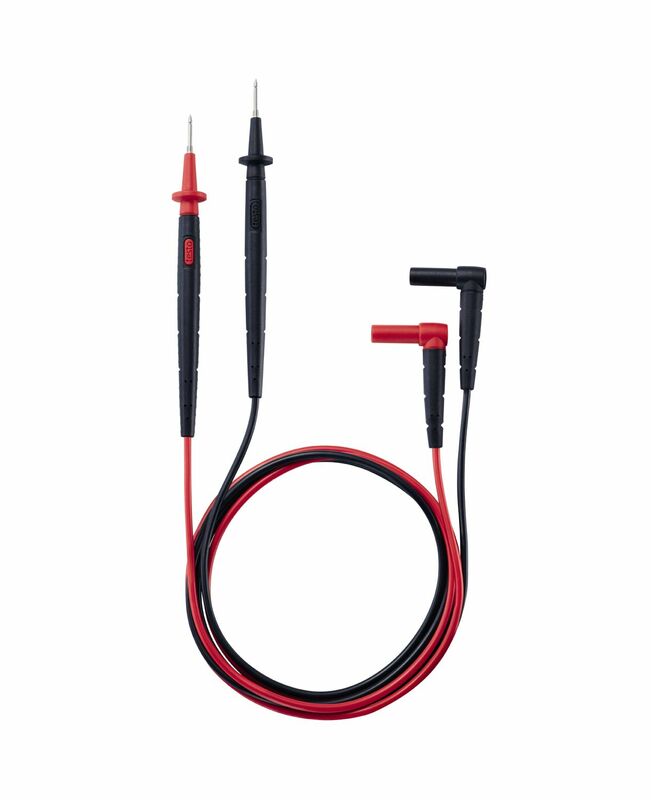 In addition, you can also use it to measure the starting current. 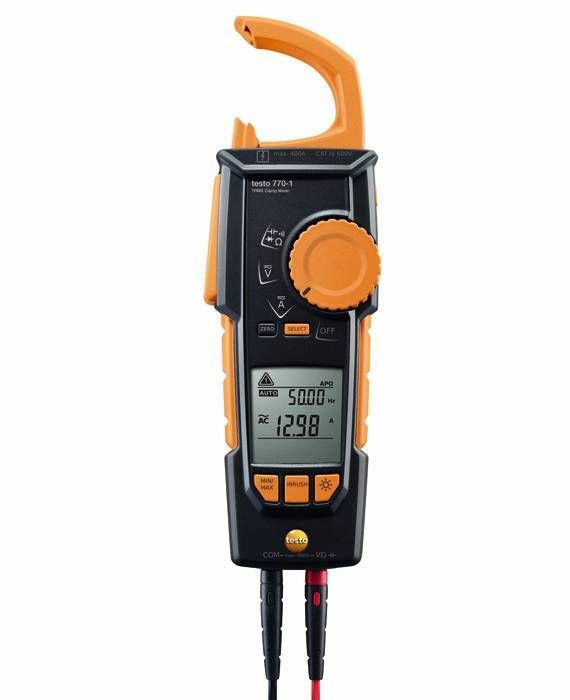 And the two-line display presents your readings clearly and distinctly. 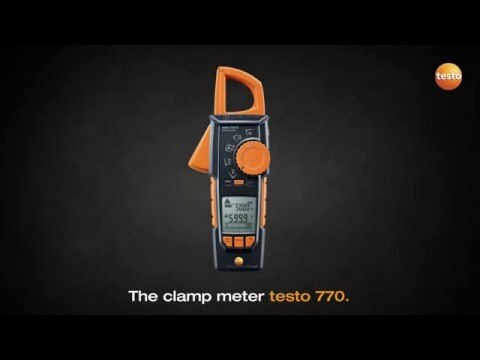 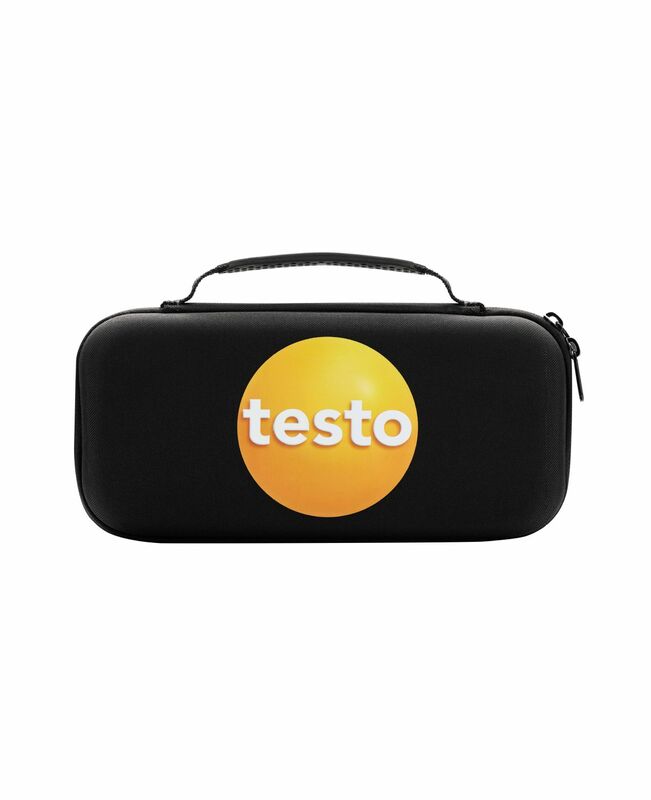 testo 770-1 TRMS clamp meter, including battery, 1 set of measuring cables (0590 0010), calibration protocol and instruction manual.